At Laser Central we’ve been helping to build a formula one race car! The students from UQ racing have been using our state of the art tube cutting facilities for the chassis of their electric vehicle. This is one of the most important and prominent aspect of the vehicle. Laser Central believes in building strong relationships within our community and strive to make a positive impact through our partnerships with local organisations. This is how we came to partner with UQ Racing. UQ racing is made up of students from across the university’s facilities including engineering, business, commerce, marketing and IT. The team competes in Formula SAE which requires them to design, develop and fabricate a small formula-style race car. Over 500 teams compete in the Formula SAE worldwide. The students from UQ Racing are always enthusiastic about using Laser Central’s facilities and it boosts team morale to know that we are helping these bright young minds put their theoretical knowledge to practical use. We know these students have a bright future infront of them and we can’t wait to work with them again after they have graduated and are working in the real world. Laser Central’s CEO Rob and his wife Terri both come from an engineering background and are keen supporters of STEM. Laser Central’s partnership with UQ Racing gives them Rob, Terri and the rest of the Laser Central team the opportunity to be part of a project that directly reflects these values. 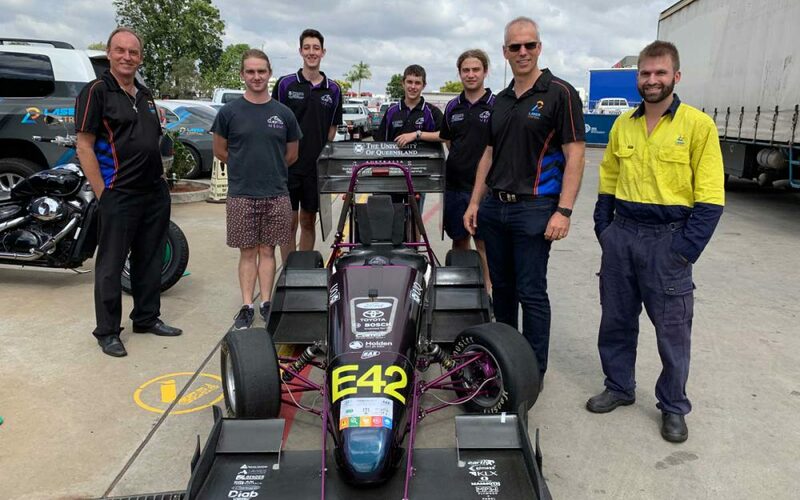 UQ Racing is an incredible chance to provide students with practical educational opportunities helping them to gain real-world experience in project management, finance and resource management, detailed engineering design and hands-on manufacturing in a team environment. At Laser Central, we are proud to play a part in this project and can’t wait to see the students final project in 2019.